Or, My Big Weird Jewish Wedding. 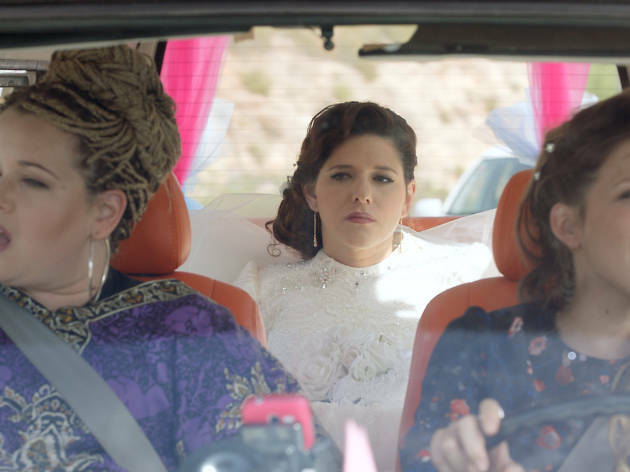 One woman’s struggles to find love in Israel’s Orthodox community might not sound like the recipe for a cockle warming romantic comedy, but ‘Through the Wall’ has a sharp sweetness all its own. Michal (Noa Kooler) has been in the dating game for 11 years, and becoming a born-again Orthodox Jew has only made things harder. True, she has the ultimate cutesy romcom job – she runs a mobile petting zoo – and is generally perky, sarcy and unflappable. But when yet another promising relationship goes sour, Michal sets herself – and God – a deadline, booking a wedding hall in 22 days and asking the almighty to find her a husband. Plot-wise this is pretty unconvincing, and you can see the final twist coming a mile off. Attempts at outright comedy tend to fall flat, and the obscure religious references can feel a little peculiar. But Kooler is a very likeable lead, and Michal’s battles – with loneliness, ageing, family, religious doubt and her own indecision – are smartly, sympathetically sketched by writer-director Rama Burshtein.